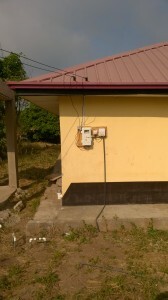 The day care center finally got a power connection. 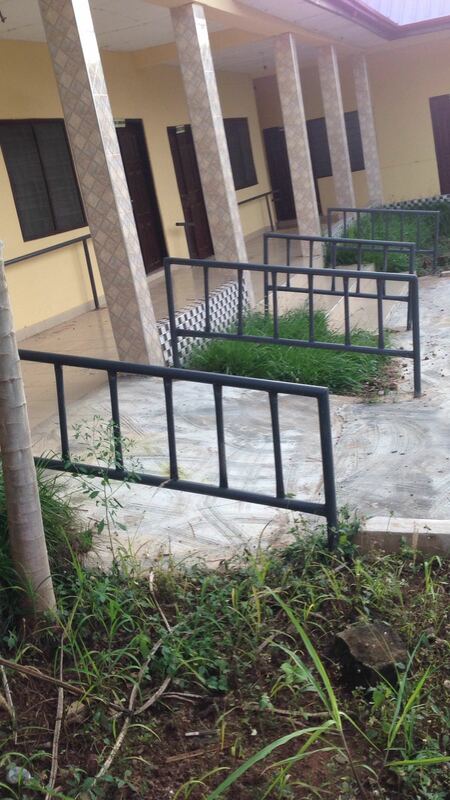 In addition, railings and handrails were attached. 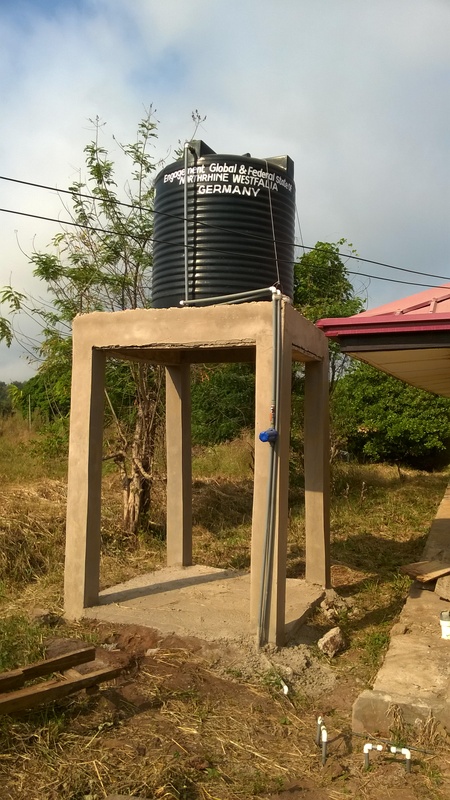 We were especially pleased that we were able to drill a well for the facility with the support of Engagement Global and install a tank. 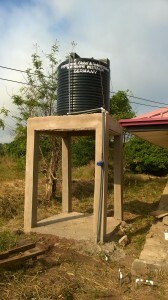 We are now independent from the unreliable water supply. Es konnten weitere Einrichtungsgegenstände angeschafft werden, bzw wurden gespendet, wie Stühle, Pflegebett, Spiele und Fernseher. 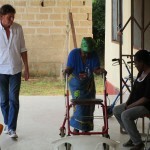 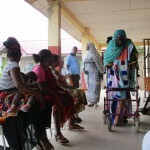 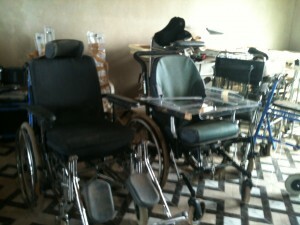 Furthermore, there were more wheelchairs and nursing aids to distribute. This also benefited disabled young people. 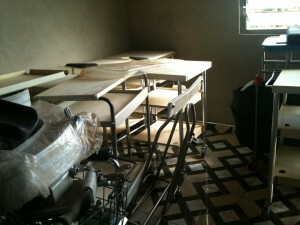 And there is now a nurse and three helpers who regularly check vital functions. That meets with great interest. 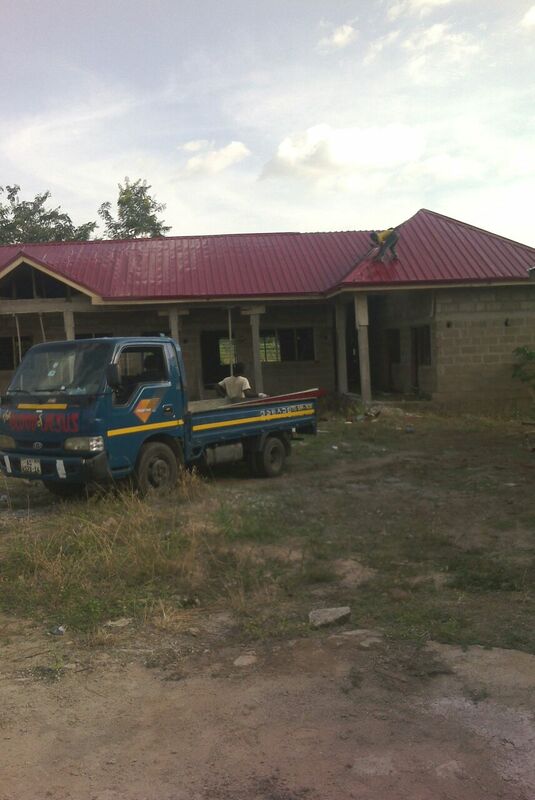 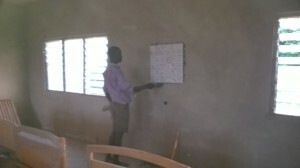 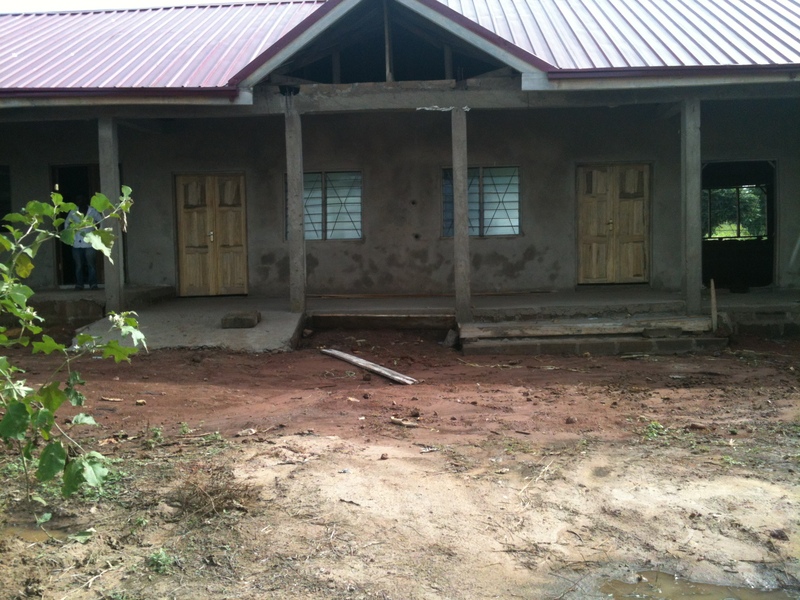 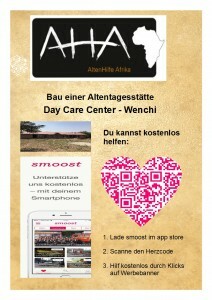 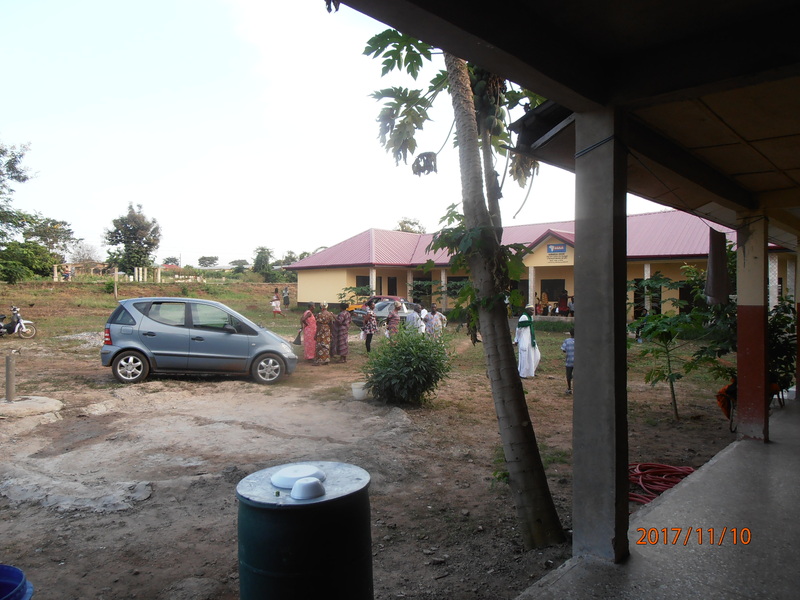 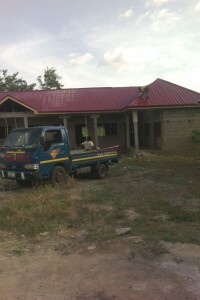 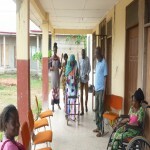 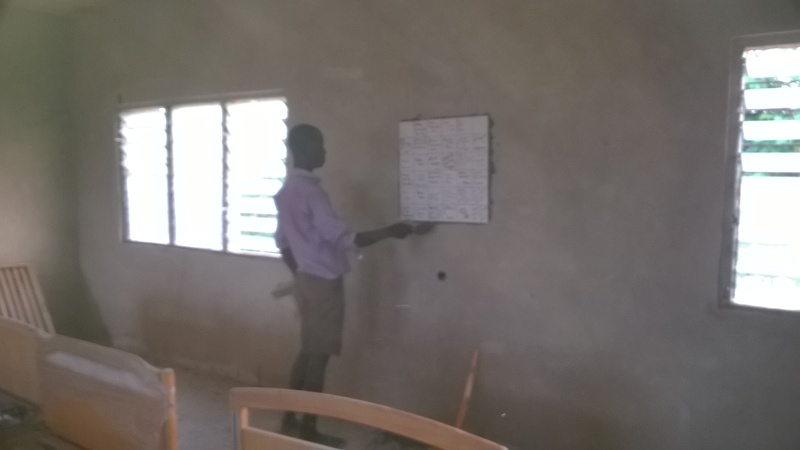 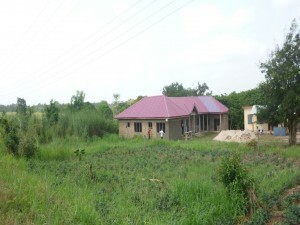 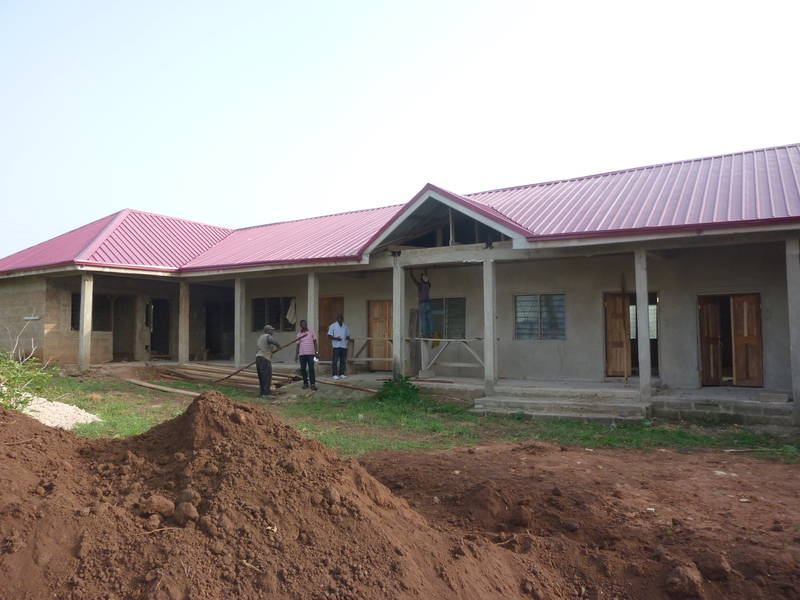 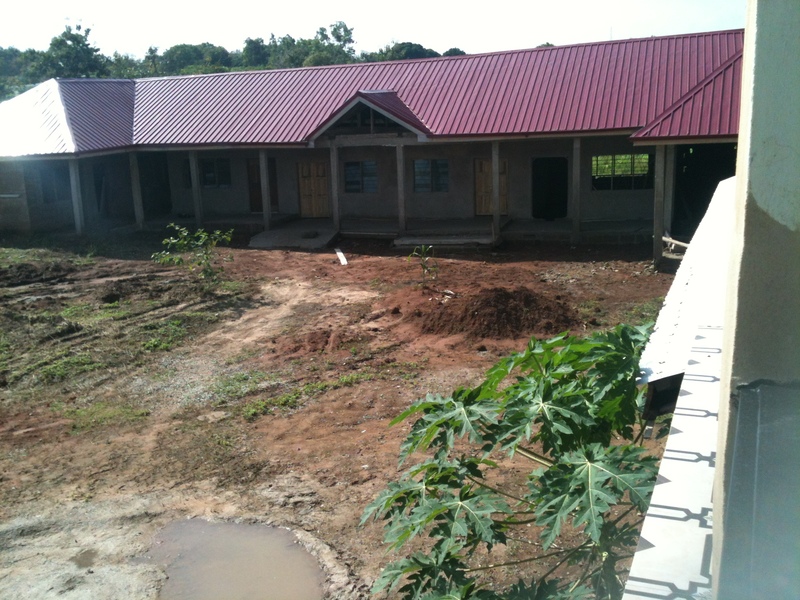 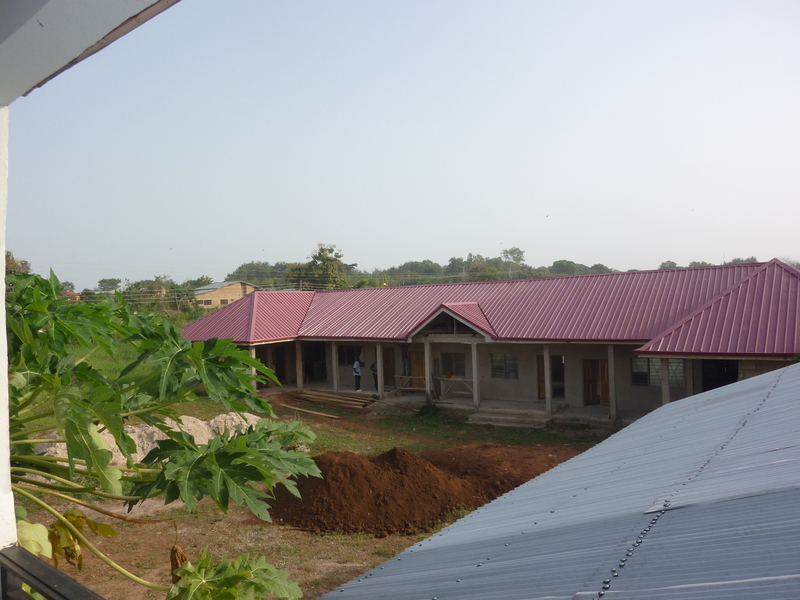 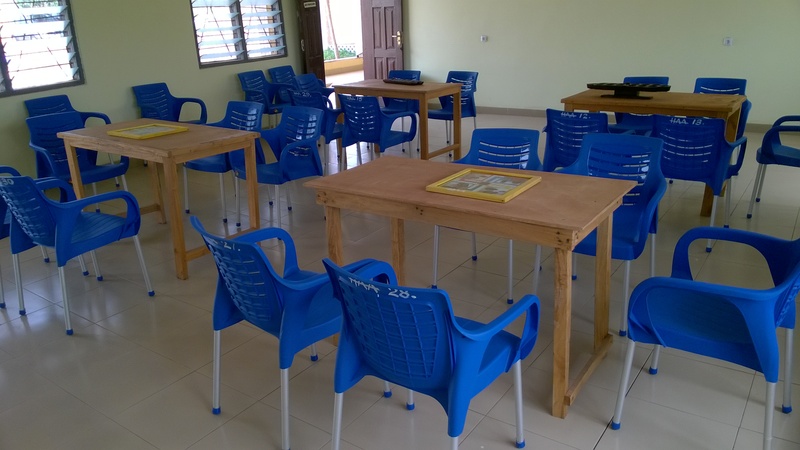 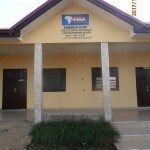 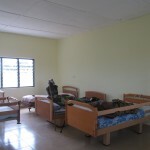 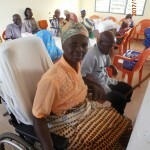 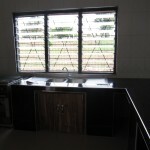 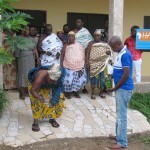 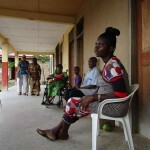 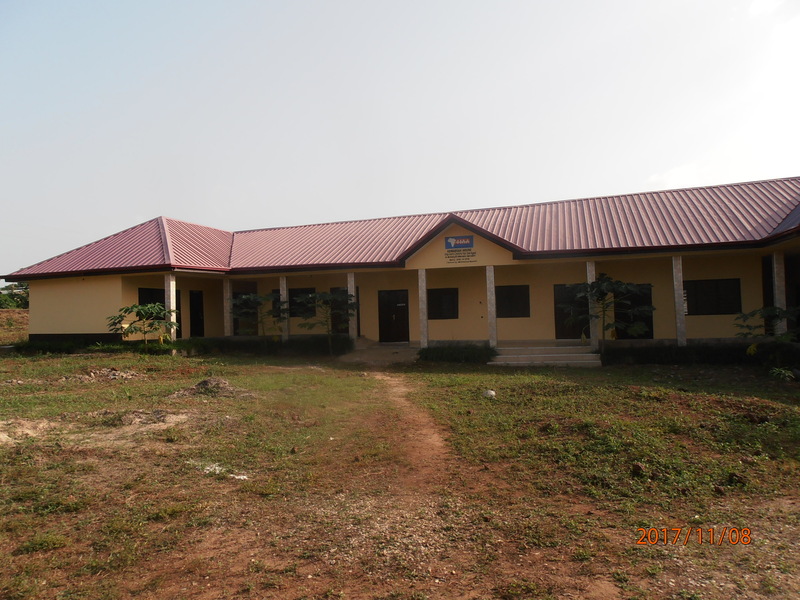 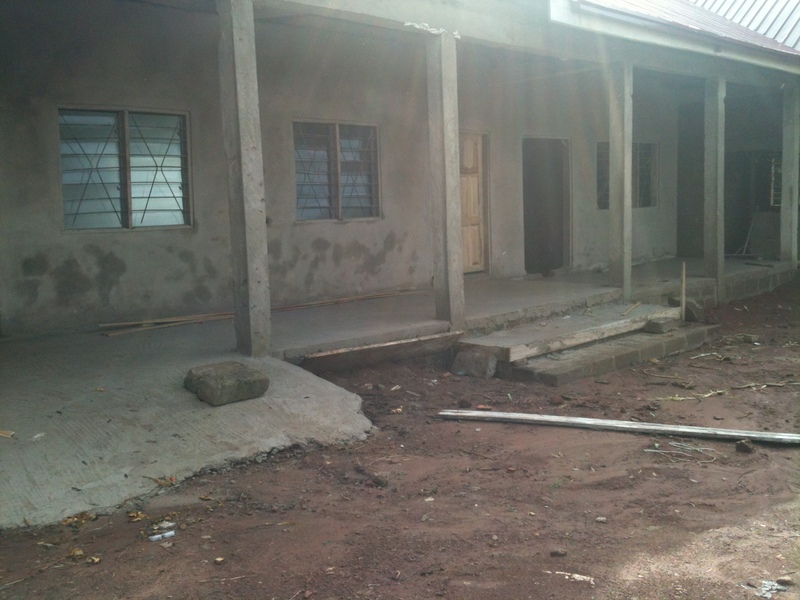 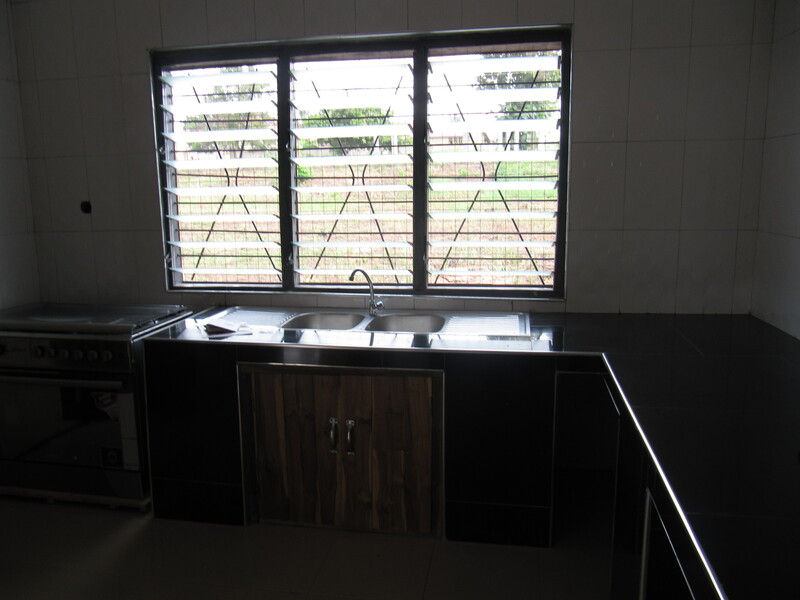 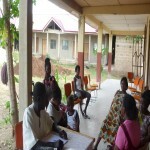 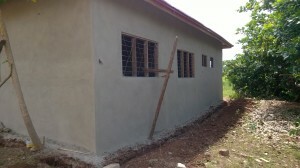 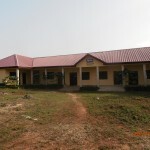 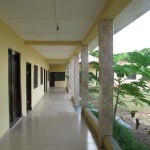 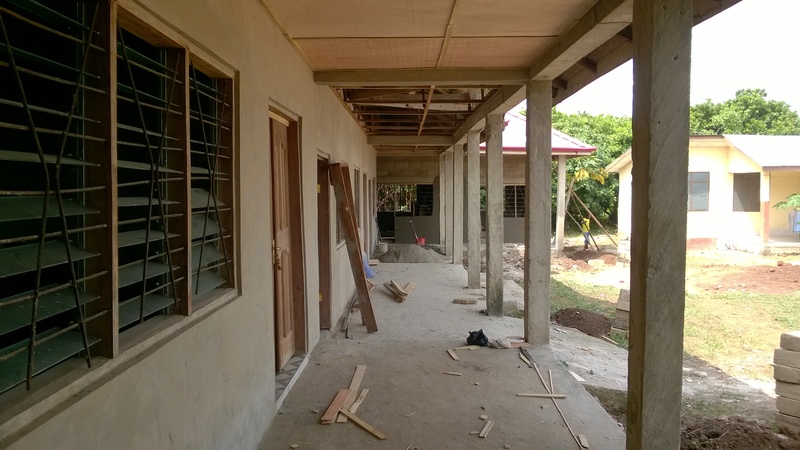 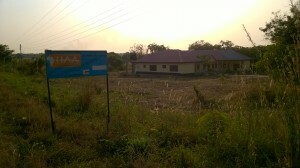 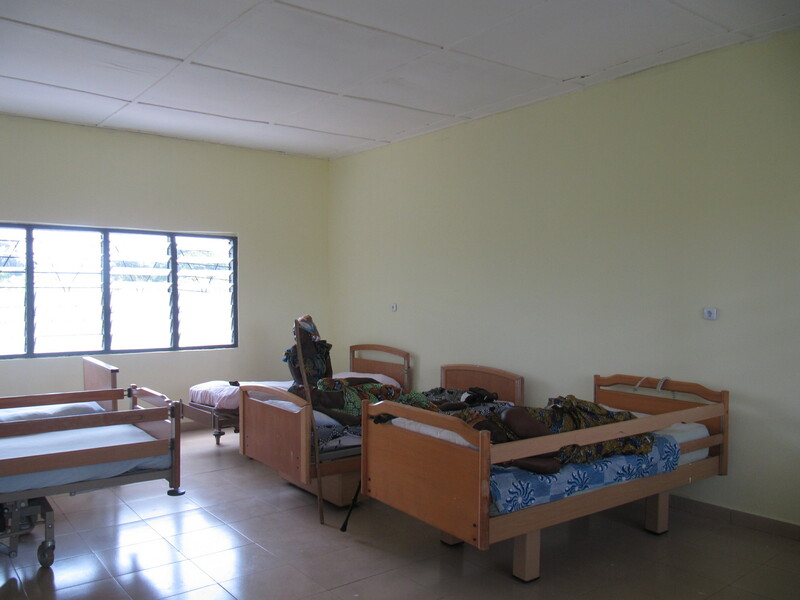 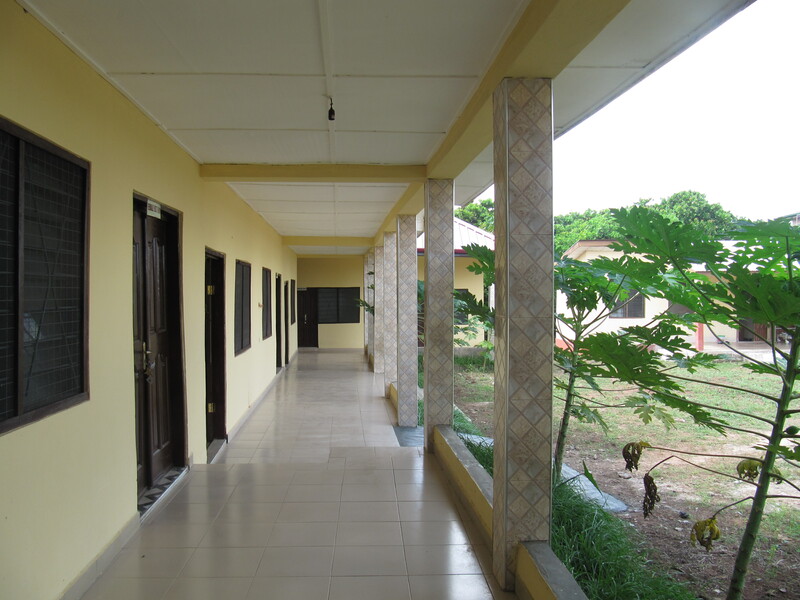 After 4 years of construction, the day-care center Wenchi, Ghana, was handed over to its destination. 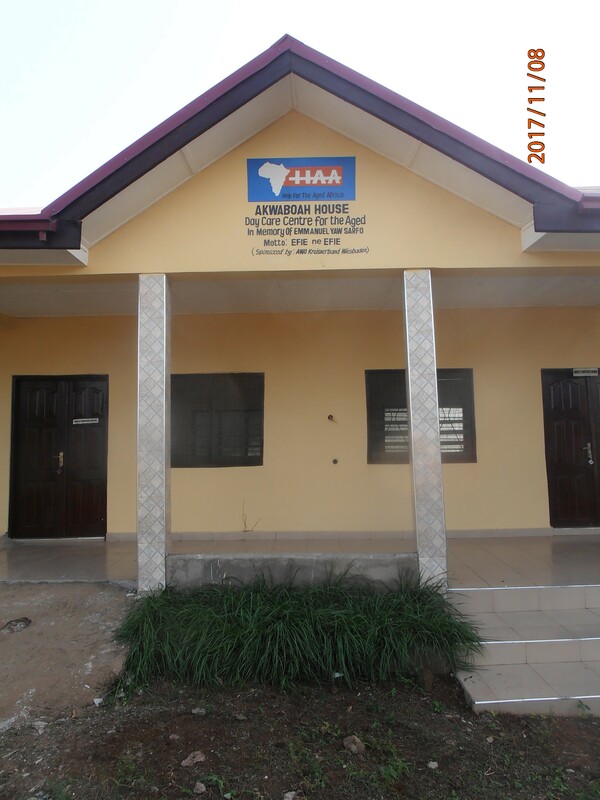 It was agreed to name it after the deceased brother of the chairman of AHA, who at the time made the acquisition of the plot possible. 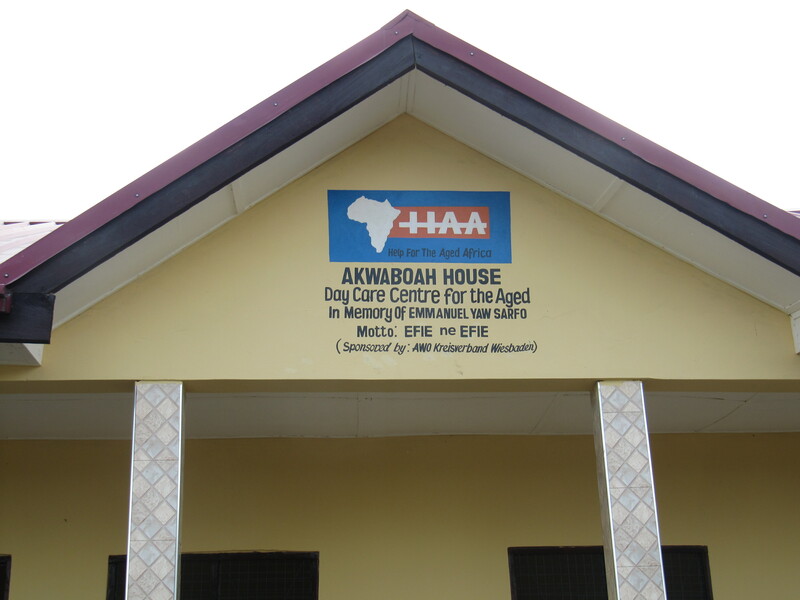 Therefore, it is now called Akwaboah house. 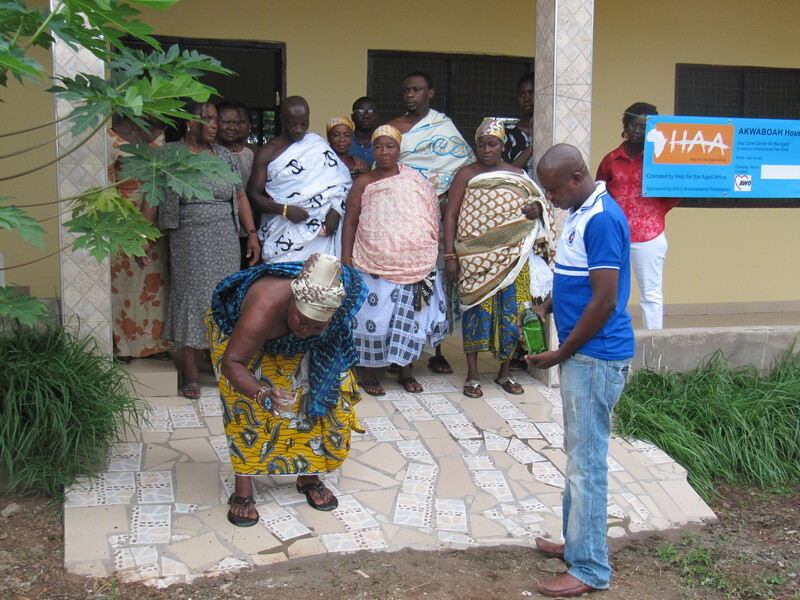 On two weekends, the building was presented to the traditional council and to the elderly registered and cared for by the local NGO. 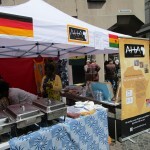 Also present was a representative of the main sponsor, AWO Kreisverband Wiesbaden. 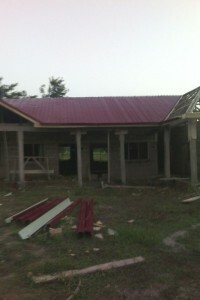 Now first activities can start. 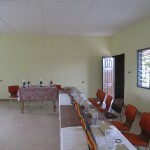 First, meeting days are set up. In the next stage education about hygiene and nutritional counseling should be offered. 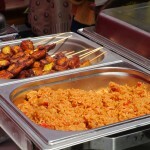 Still open is the concept about the catering offer. 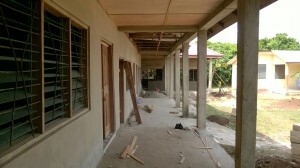 Certainly there are still some remaining work to do on the building, as well as to get some equipment. 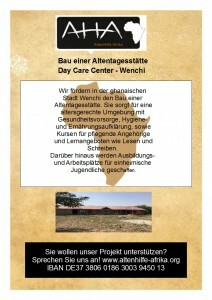 For this we ask for further support. 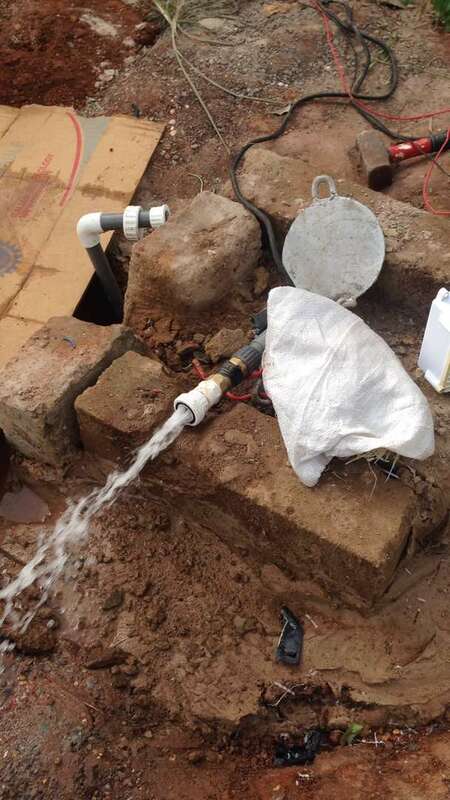 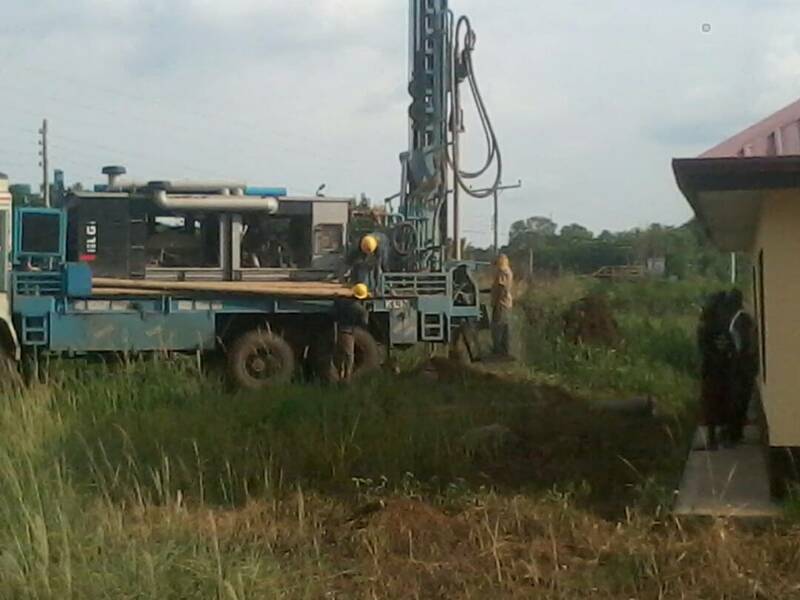 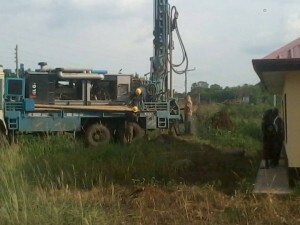 Furthermore, the drilling of a well is planned to ensure the supply of water, because there is a connection to the public network, but currently water supply is limited to two days of the week. 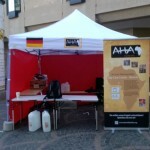 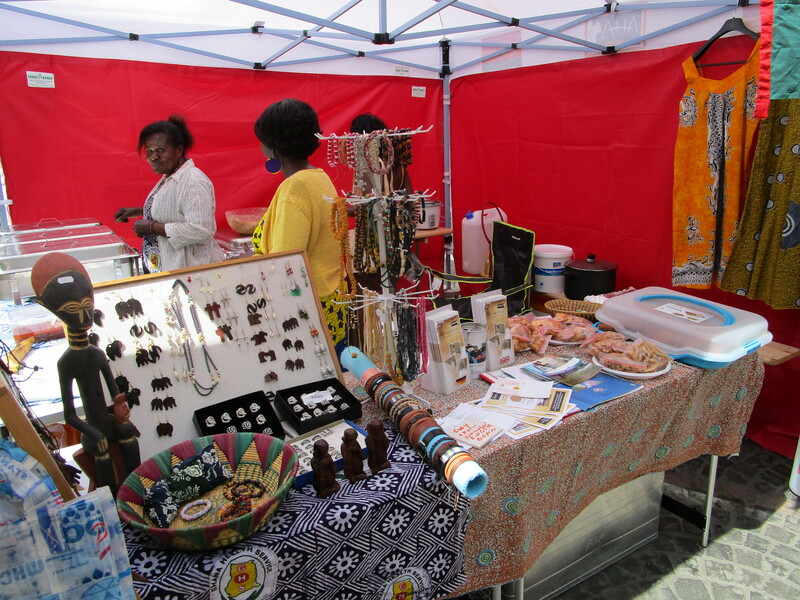 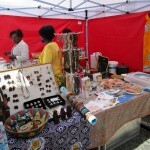 This year again, we presented ourselfs the diversity! 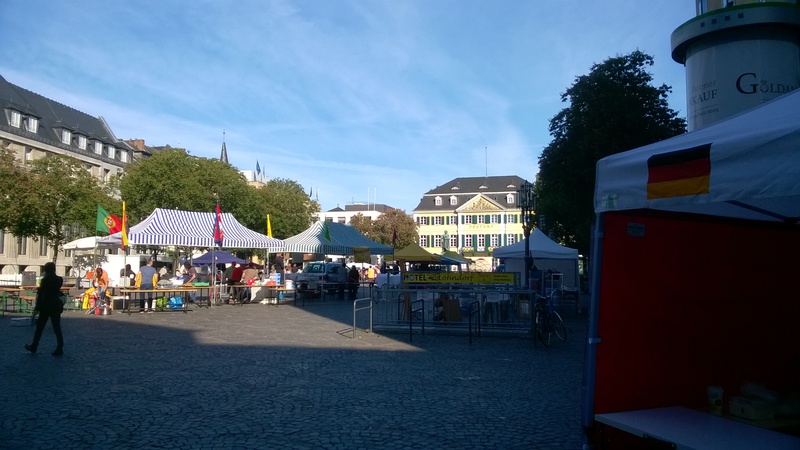 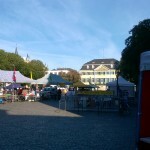 Feast of the city of Bonn. 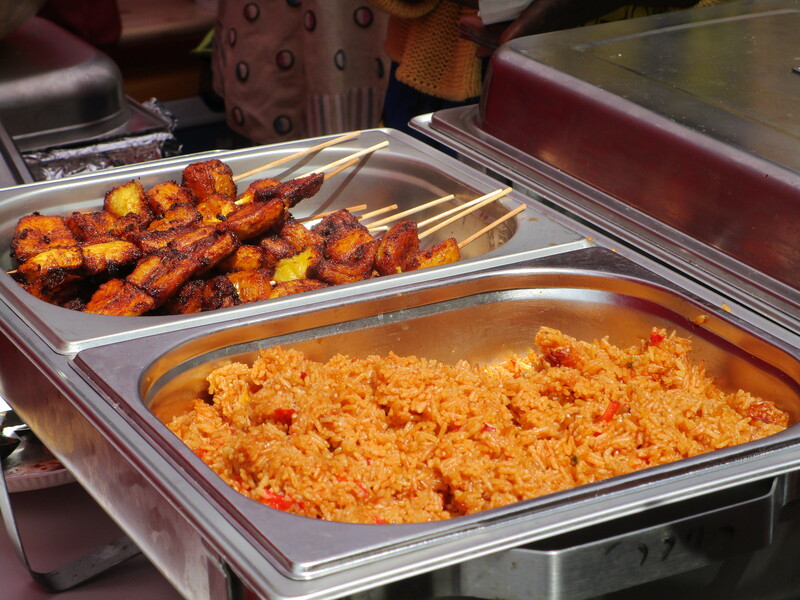 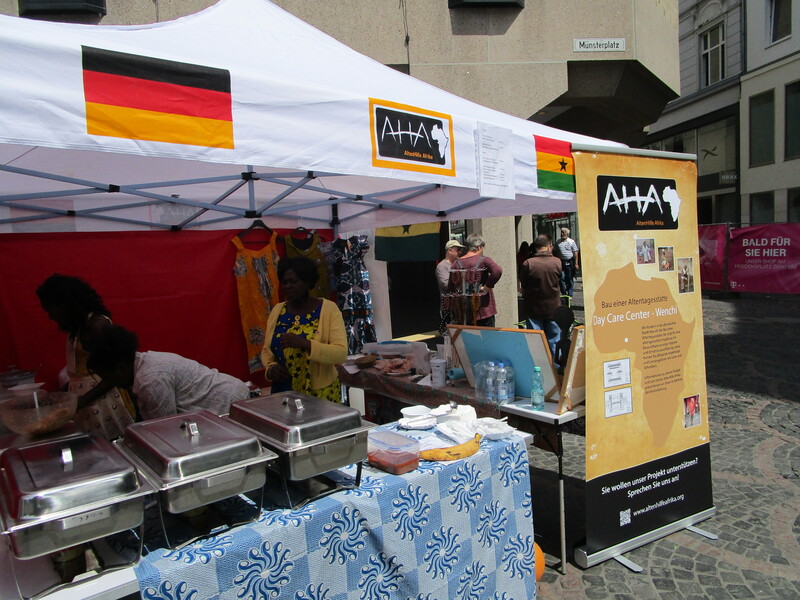 In addition to good talks and advertising for us and our work, there was, of course, delicious Ghanaian cuisine for the physical well-being. 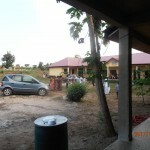 Also a facet of our activities. 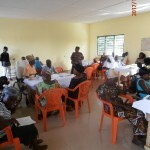 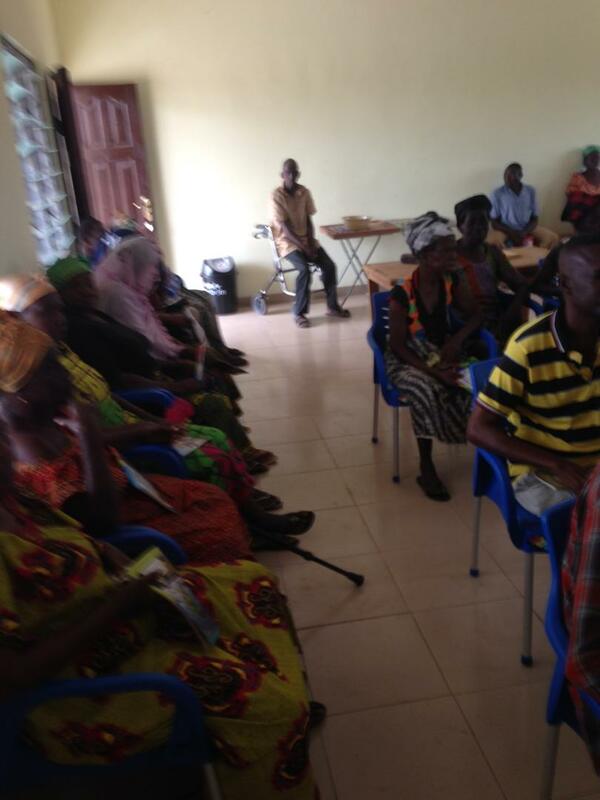 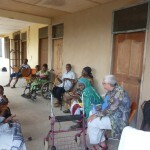 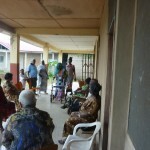 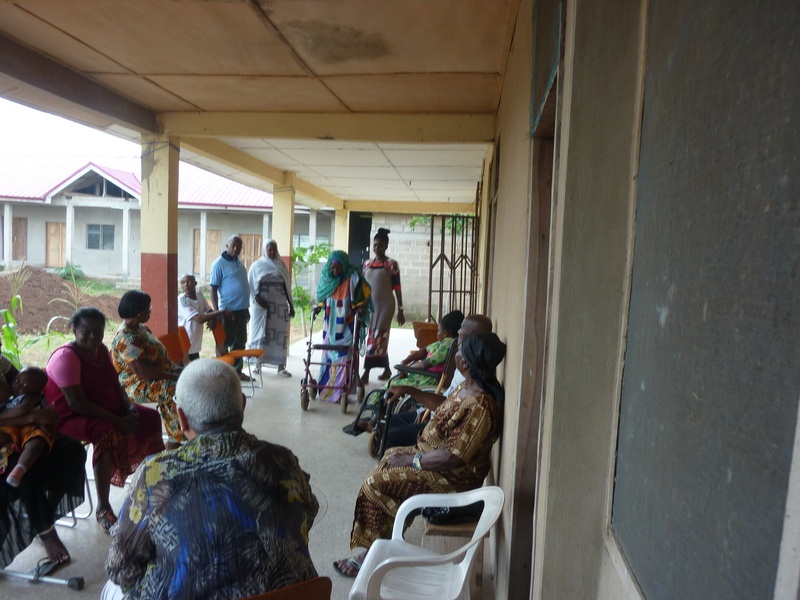 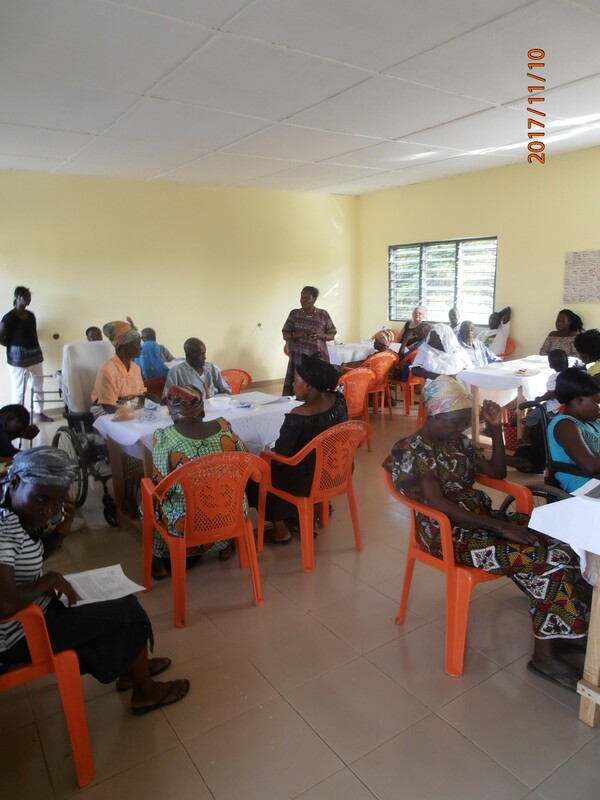 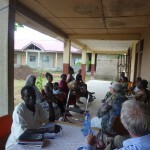 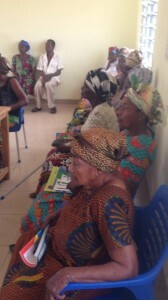 Introduction in the care of the elderly for local volunteers. 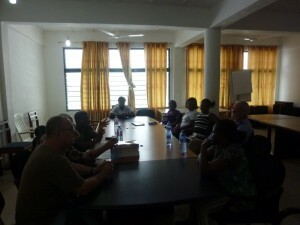 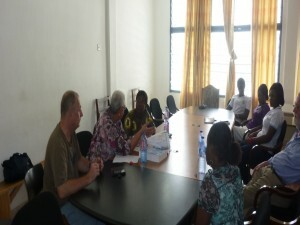 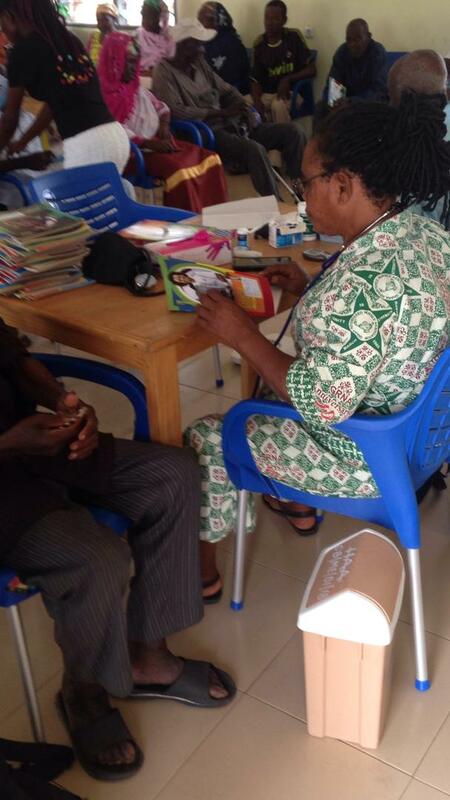 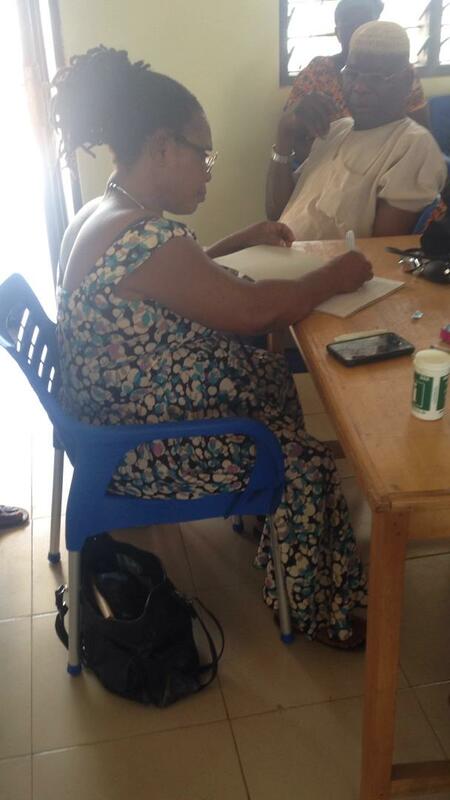 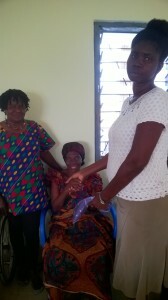 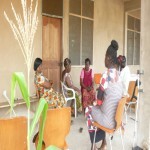 conducted as part of the cooperation with Methodist Hospital Wenchi, headed by Cecilia Yeboah. 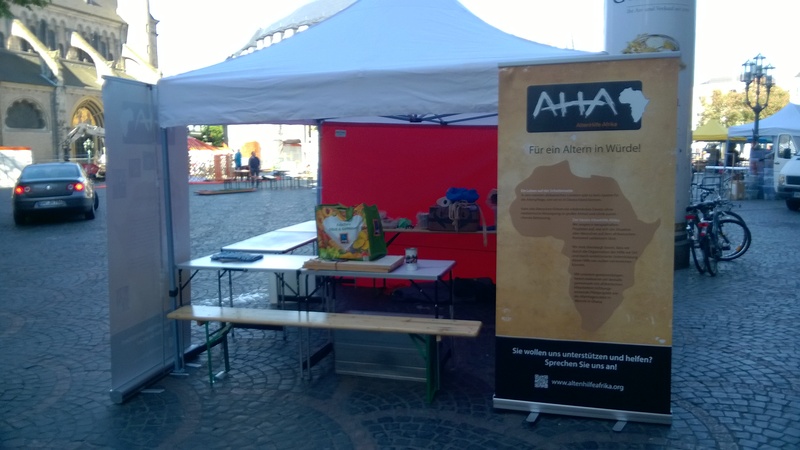 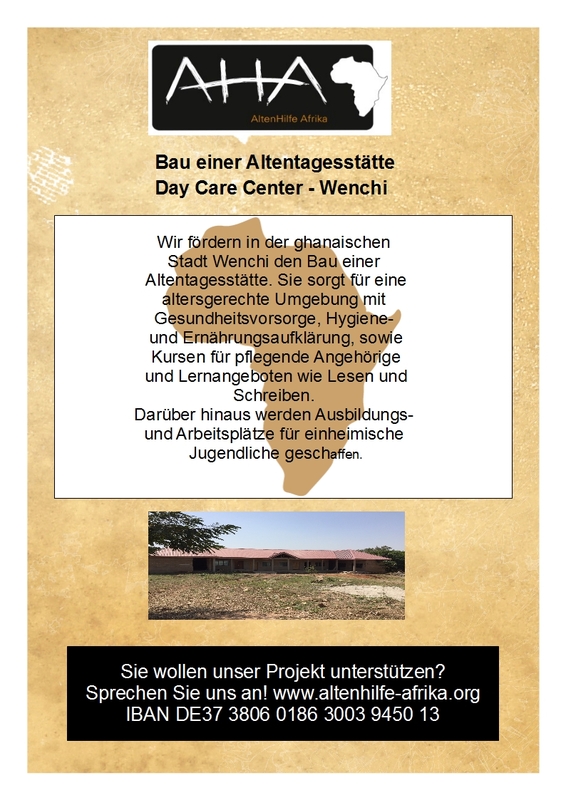 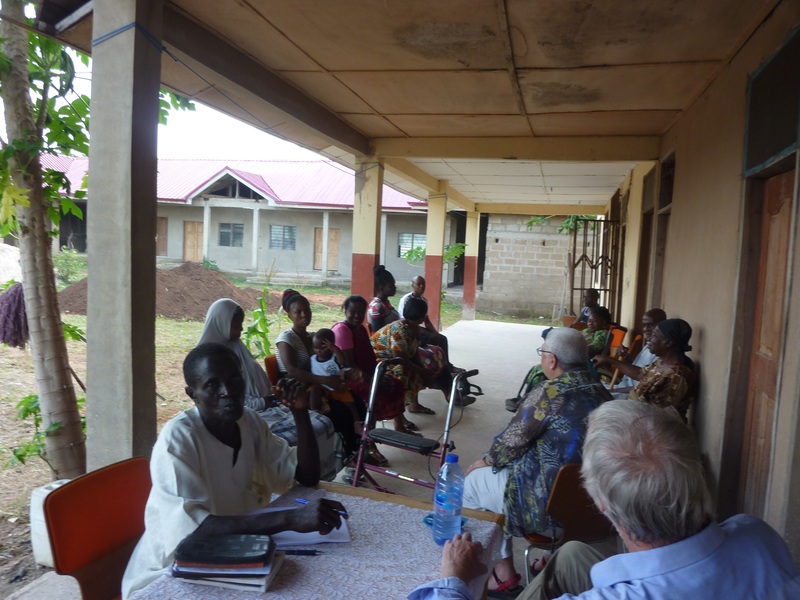 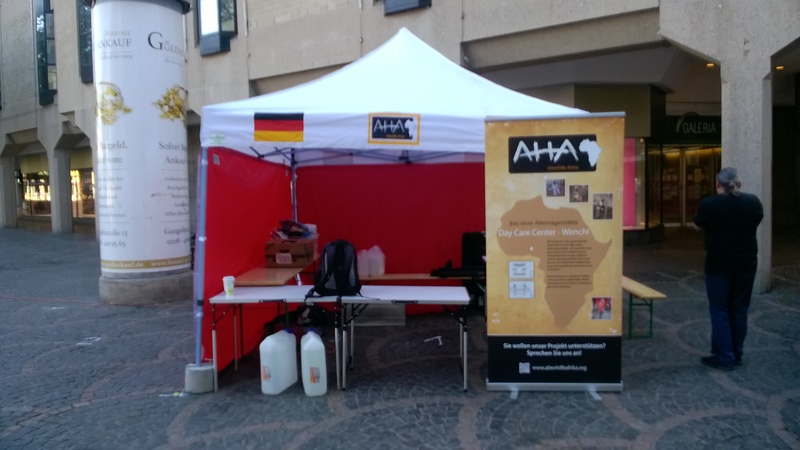 For the second time, we traveled with our friends Beatrice Remmert and Heini Staub from AWO Kreisverband Wiesbaden Ghana to inform us about the construction progress of the Day care center and to organize further measures concerning the operation of the facility. 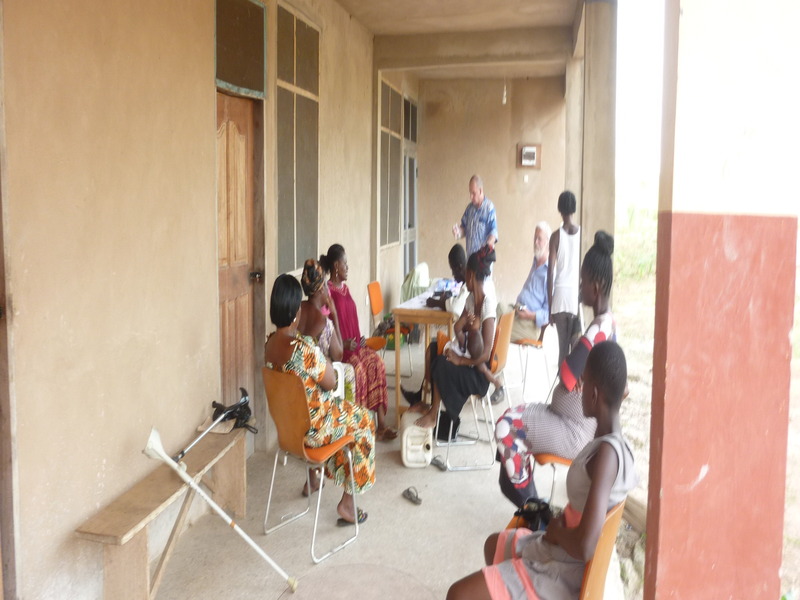 We succeeded in finding suitable staff as well as in establishing a cooperation with the Methodist Hospital, which supports us in training and operation. 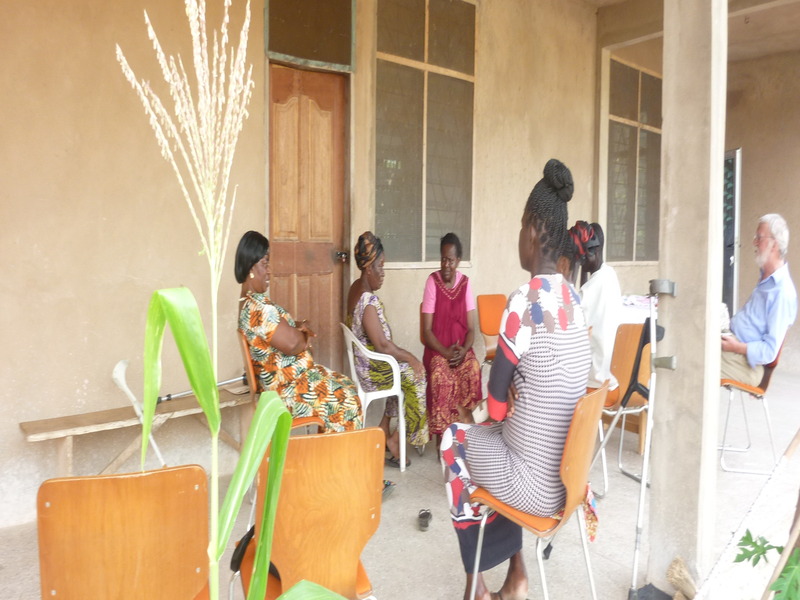 In addition, we were able to hold consultations on health education, as well as training in the correct management of nursing aids. 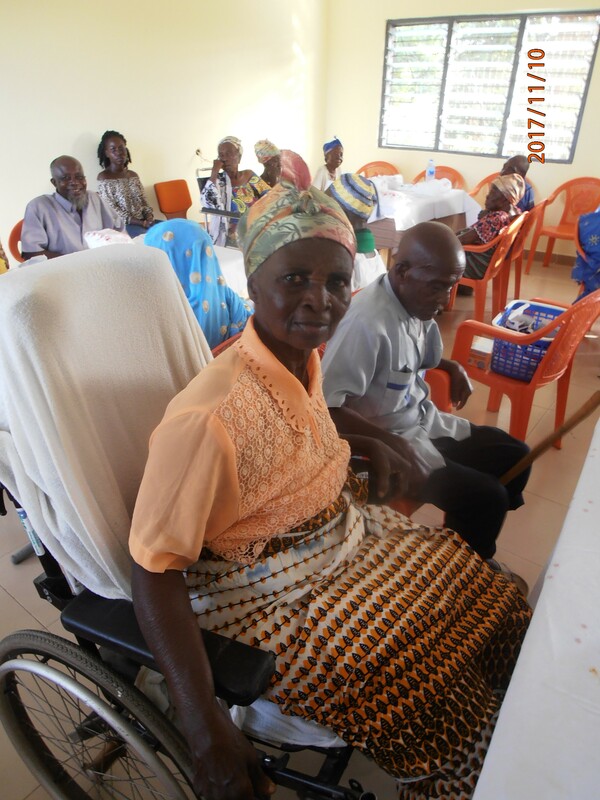 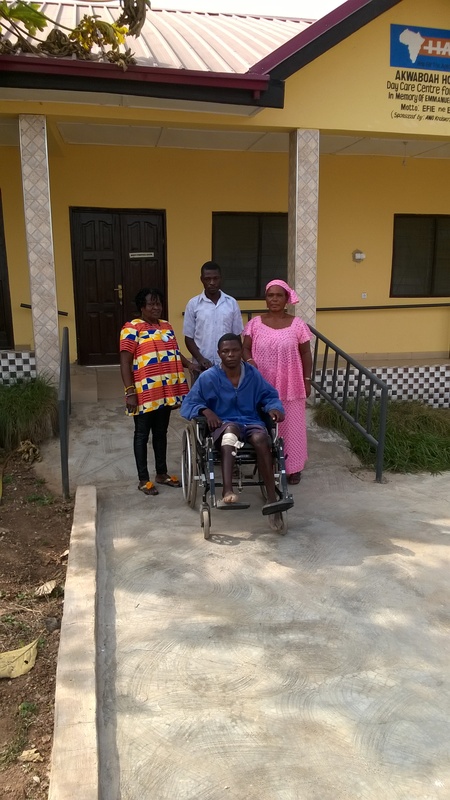 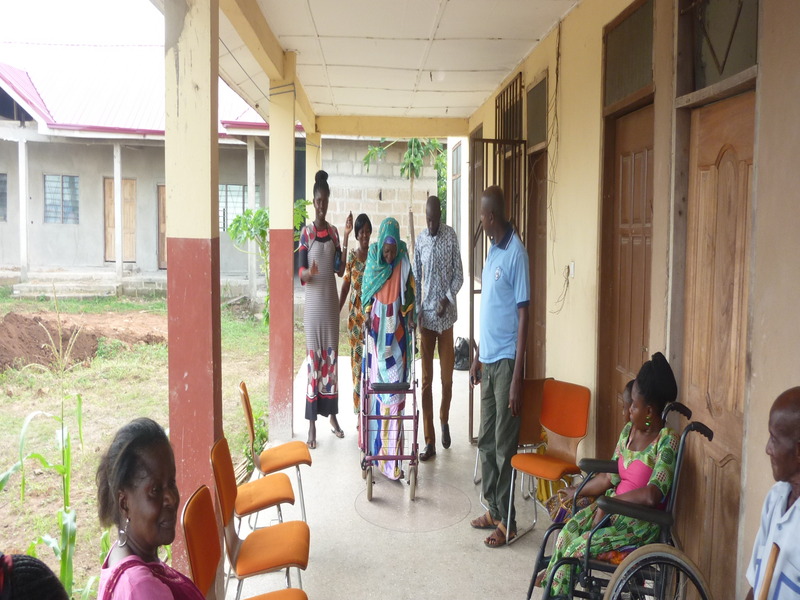 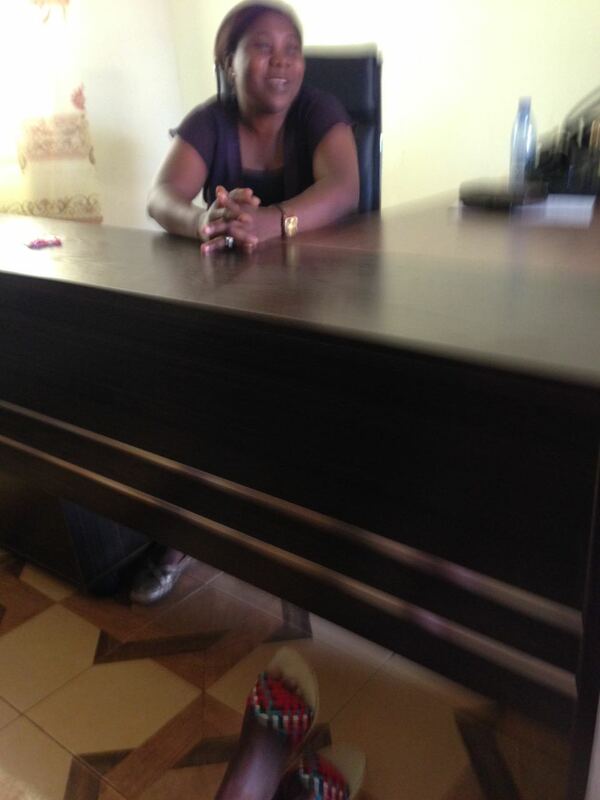 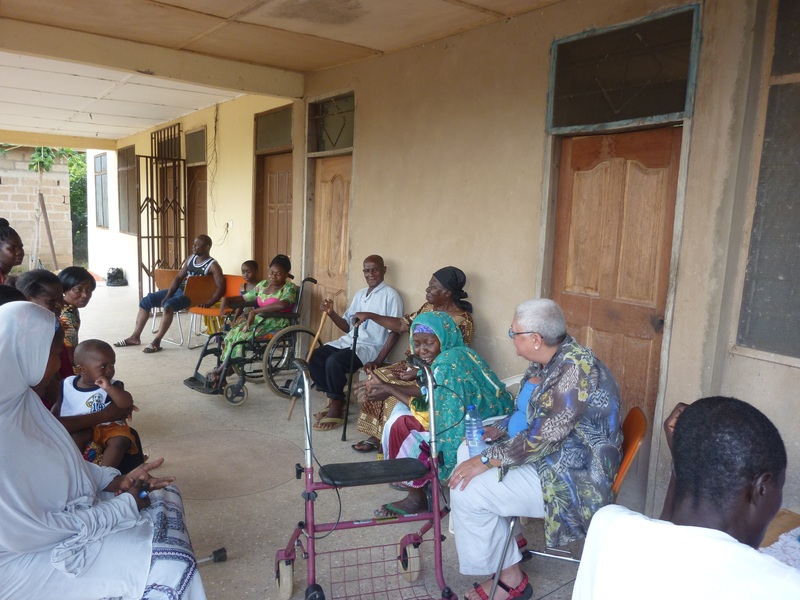 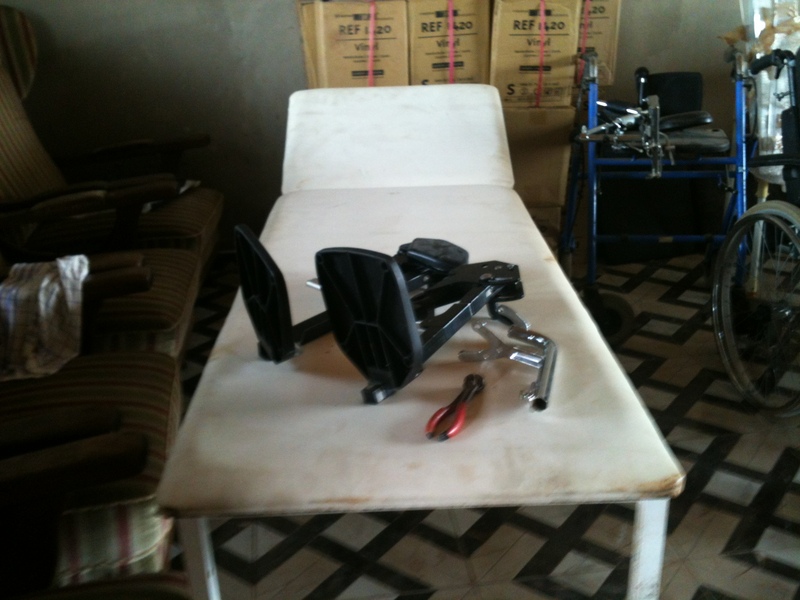 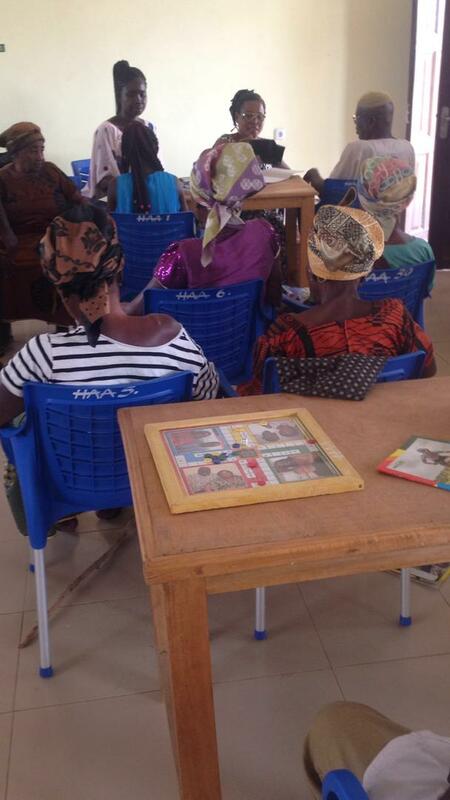 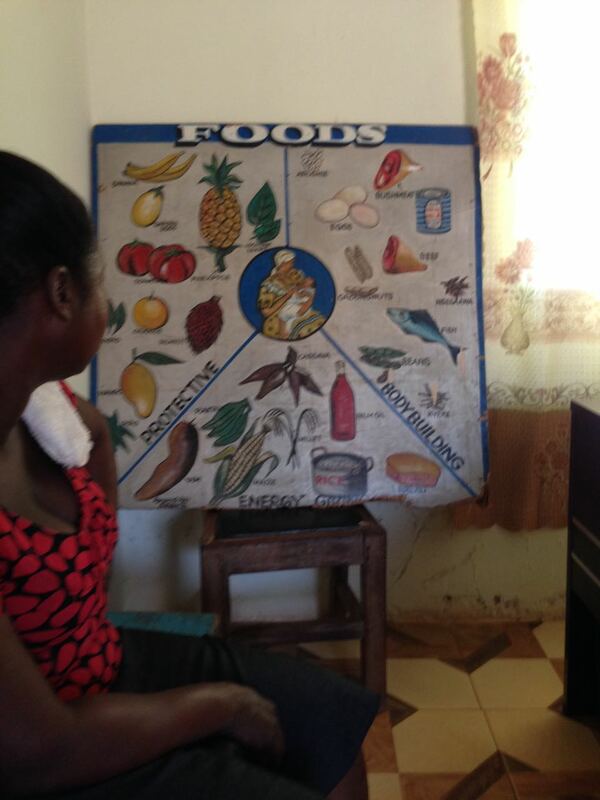 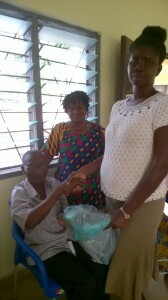 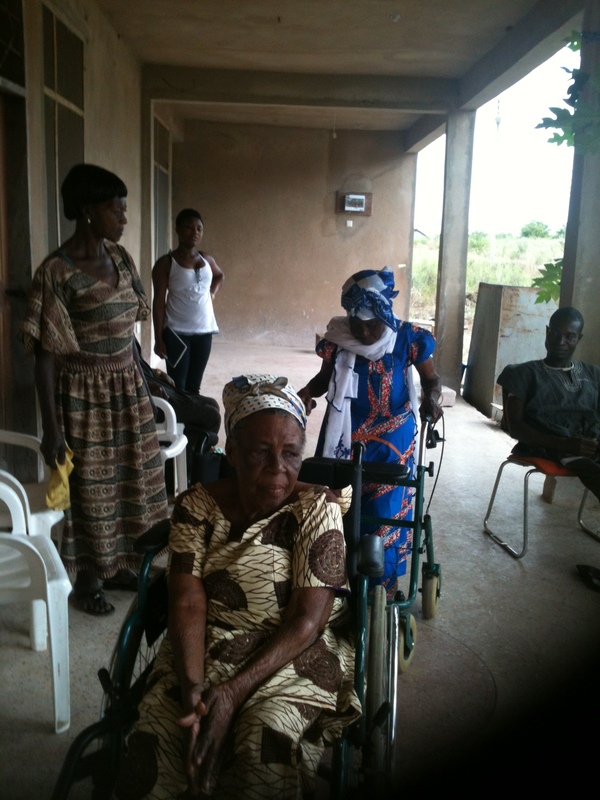 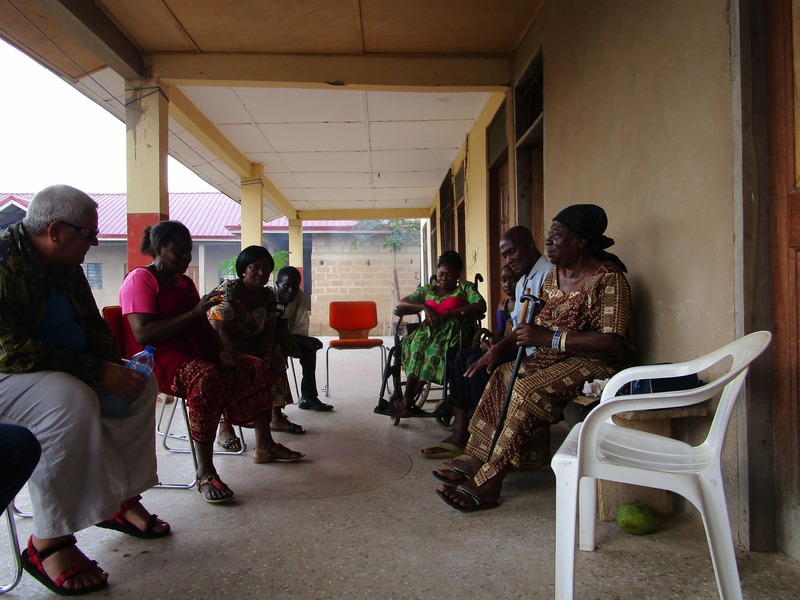 Last but not least, there was a visit to a physiotherapist in Sunyani, who also has a small workshop for prostheses. 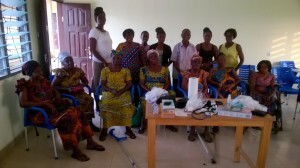 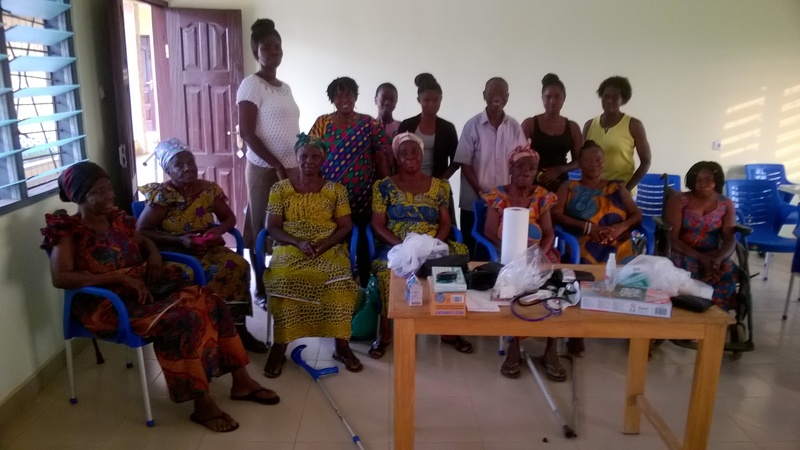 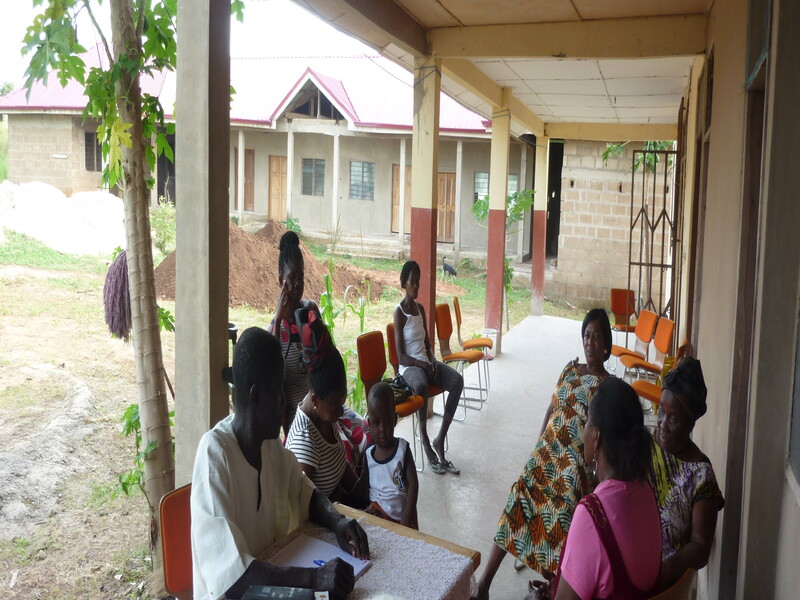 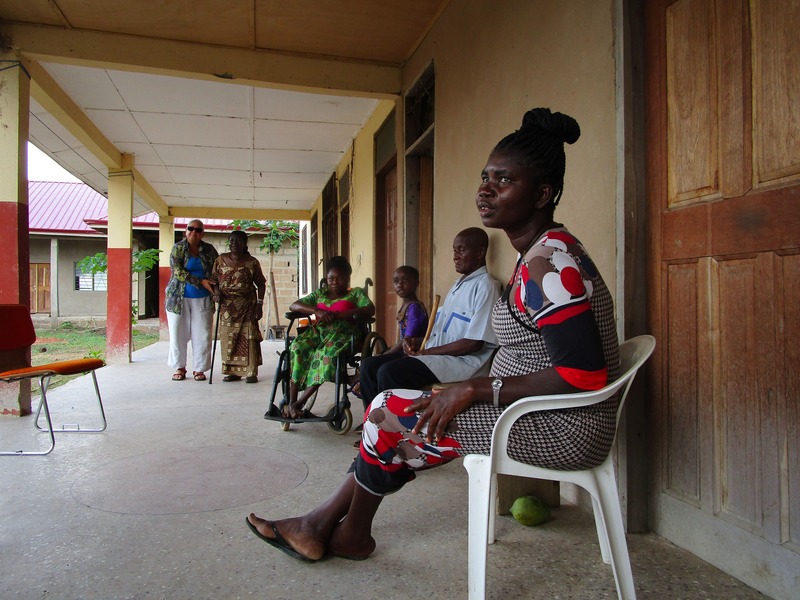 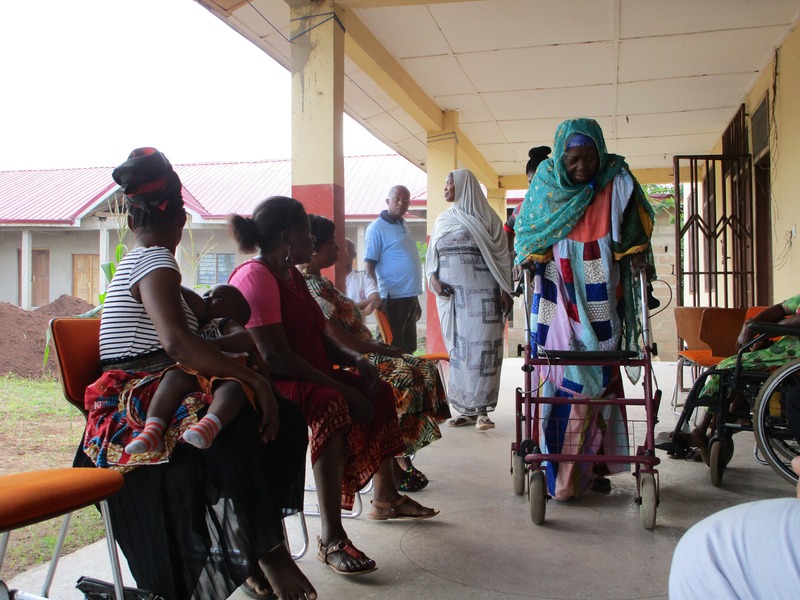 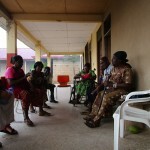 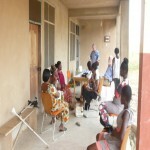 Coordinate with the community nurse Cecilia Yeboah and her nurses on the training of caring relatives and the volunteer staff as well as regulations for the operation of the day. 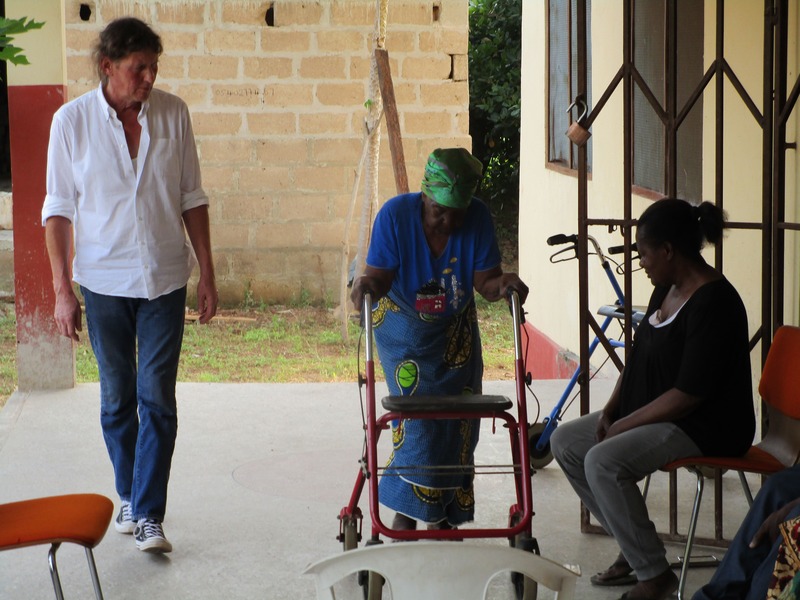 Also the handling with the walker wants to be learned. 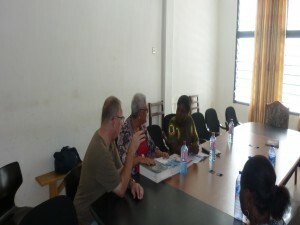 Consultations are also held. 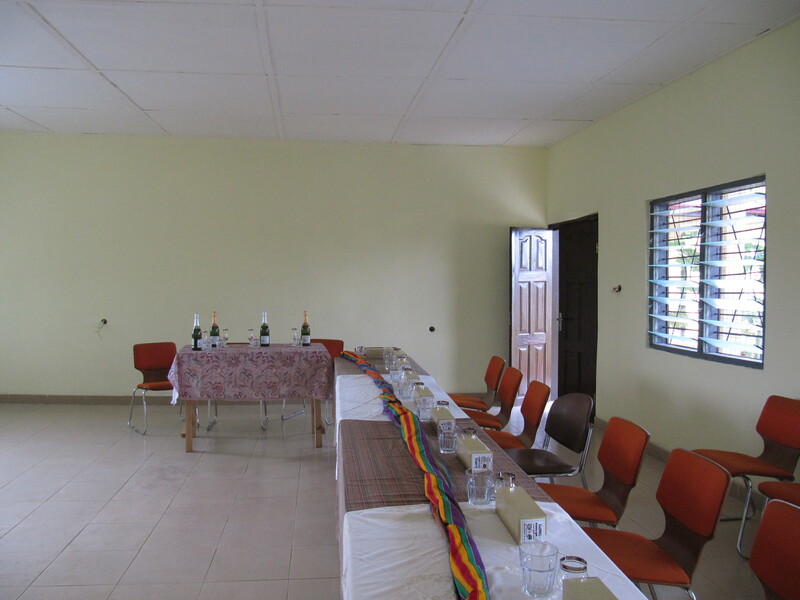 Pictures of the building and in the following you can see that we finally hung up our donation tiles from the charity buffet. 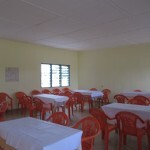 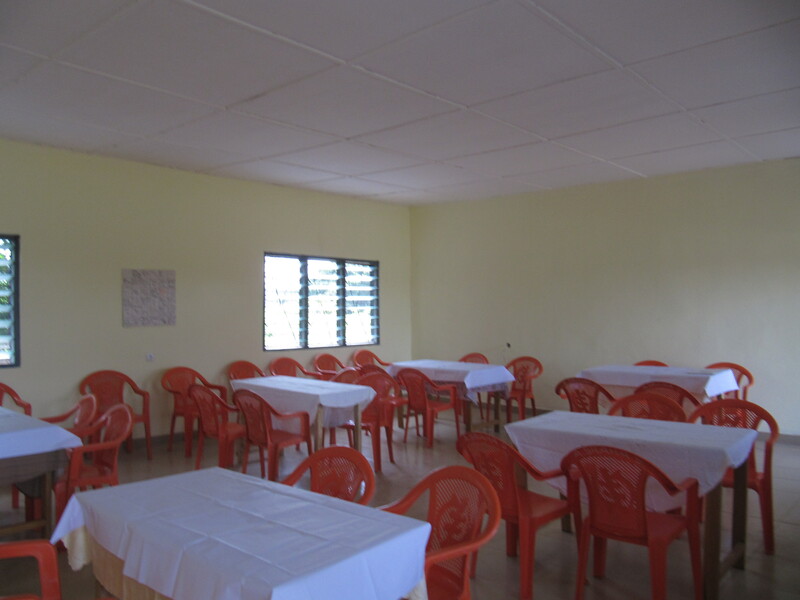 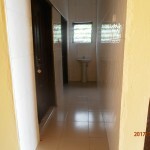 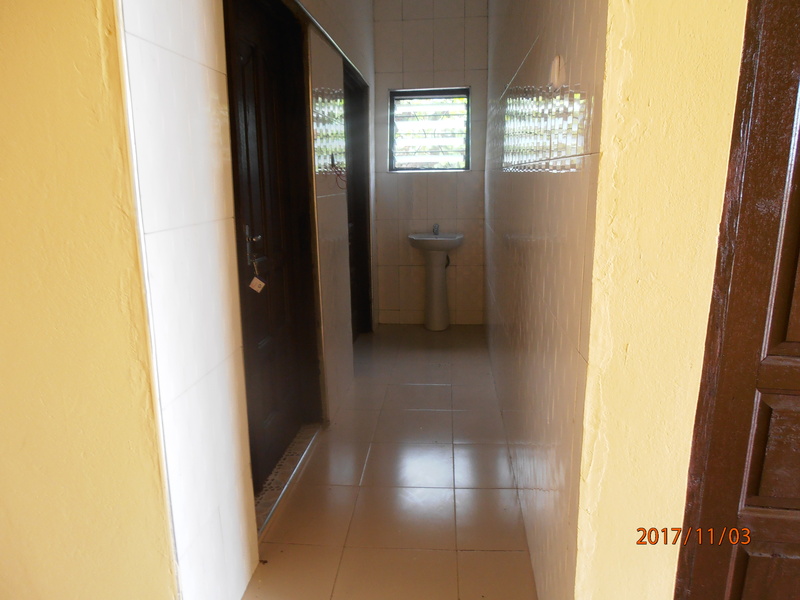 Meanwhile, the first 3 rooms (rest rooms, stay / meeting facilities) are completed. 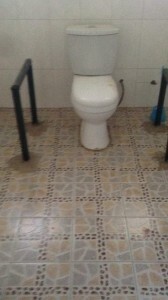 The next step is now the toilet facility. 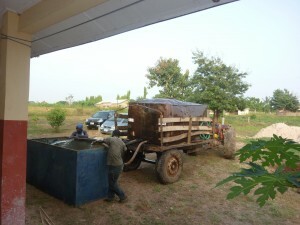 This could then start with the first small events of operation. 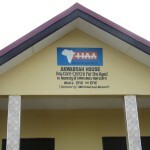 To achieve this, we need more donations. 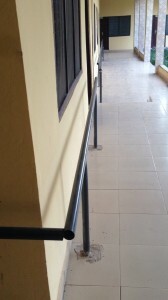 Therefore, at this point, the request for support. 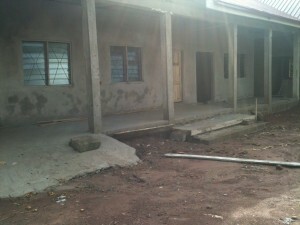 Any donation is welcome. In addition, this year we were able to distribute plenty of wheelchairs and rollers to needy old people, which we had stored the last time. 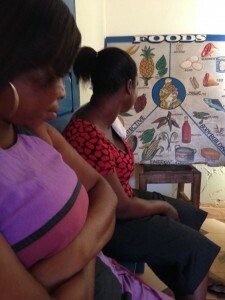 We were confronted with moving fates. 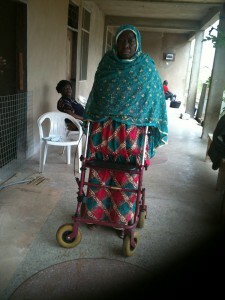 Many suffer from loneliness or being neglected by imobility. 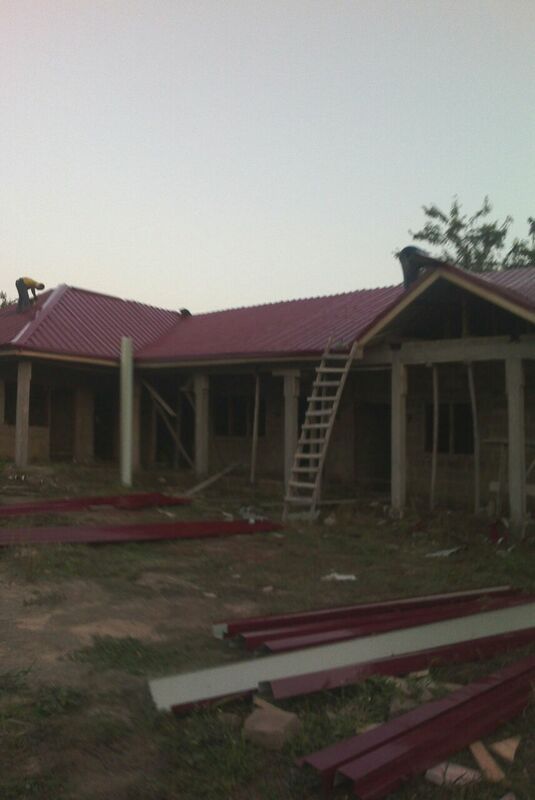 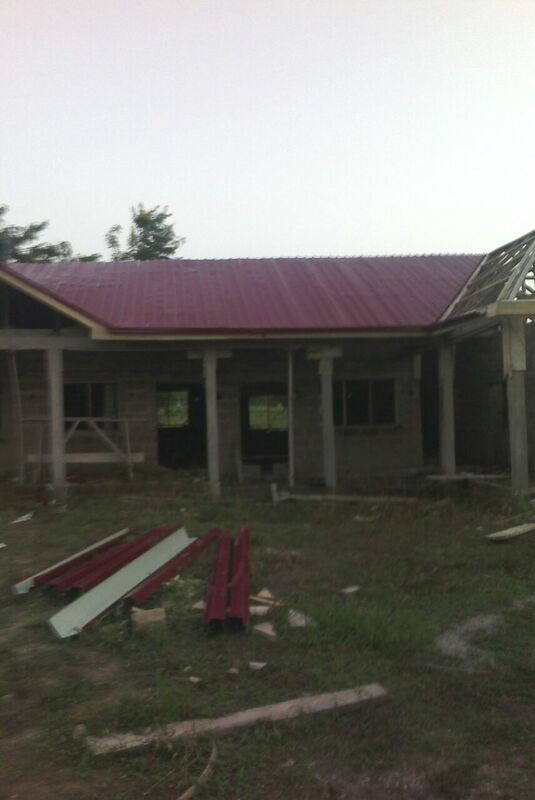 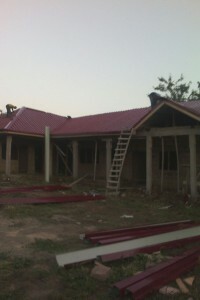 After a long time again a few pictures of the construction site: the roof is finished, the interior work has begun. 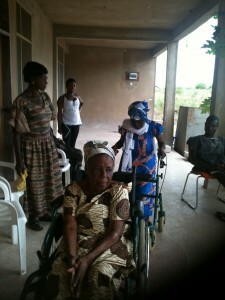 In October / November we set out again to visit to Ghana. 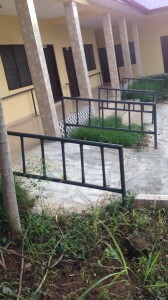 Next year there will again be a journey. 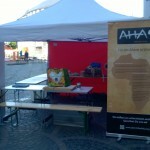 It is worth to remember: those who are interested feel free to join us. 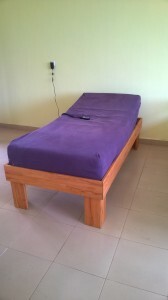 Especially for physiotherapists it provides a unique experience.